A 27-year-old website designer identified as Paul Ezeugo, who allegedly killed a woman he met on Facebook, has been arrested by operatives of the Nigerian Police Force. 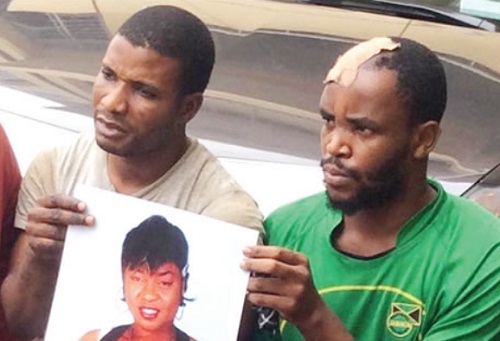 According to a report by PUNCH Metro, Ezeugo dated the victim, Charity Chidiebere Aiyedogbon, for one year before he and his friend, Emmanuel Adogah, murdered her on May 9, 2016, and stole her Acura ZDX SUV which was recovered in Enugu where it was hidden. It was gathered that the police had been on a manhunt for the two suspects since May, 2016 when Charity’s mutilated body was found packaged in two sacks at a river bank in Ushafa, a satellite community in Bwari Area Council of the Federal Capital Territory, Abuja. While parading the two men alongside other suspects in Abuja on Thursday, the FCT Commissioner of Police, Sadiq Bello, stated that Ezeugo confessed to killing the woman, who he said was his girlfriend. “On June 1, 2018, police operatives attached to the Command Anti-Kidnapping Squad succeeded in arresting the principal suspect, one Paul Chukwujekwu Ezeugo, 27 years at Benin in Edo State", Bello said. While speaking in an interview, Ezeugo said he killed the woman with a cutlass, adding that it was greed for money and her SUV that made him kill her.